That’s a question that often comes to the mind of amateur astronomers. This question is not always about money saving. Instead, if you consider getting a 10″ instrument or less, you’re very likely to spend more money building it than buying a commercial one. And I’m not talking about the countless hours spent making it. However, most of the amateur telescope makers (ATMs) who decide to build their own instrument do it because they want to understand the optical phenomenon involved in a reflector. 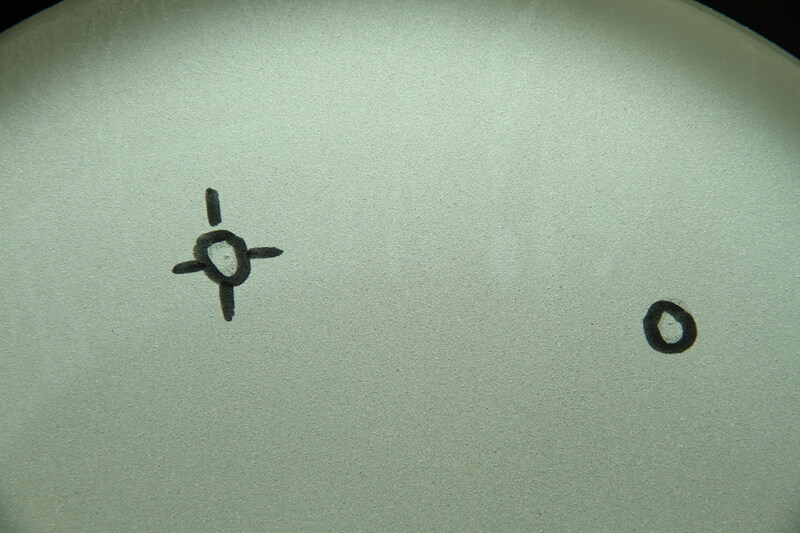 Another surprising advantage is that hand made optics (if guidelines are followed) tend to have a higher surface quality than the mirrors polished by industrial machines. 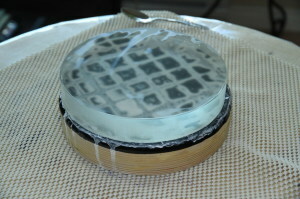 Building a reflector telescope can be decomposed in 2 steps: make the mirror and build the tube/mount. In this post, we’ll talk about the first one which is the most time consuming but also the most interesting. 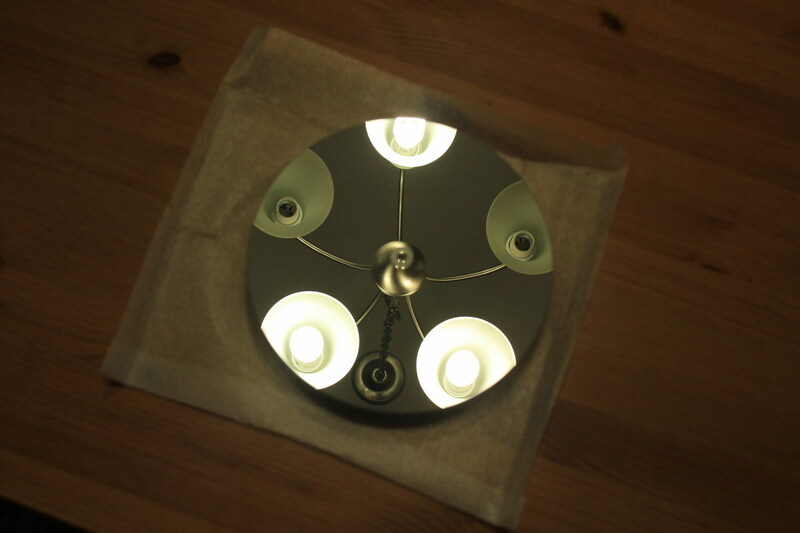 Even though some builders prefer to buy commercial mirrors and fit them in a DIY structure, I believe that making a telescope mirror is probably the most rewarding part of the whole built. 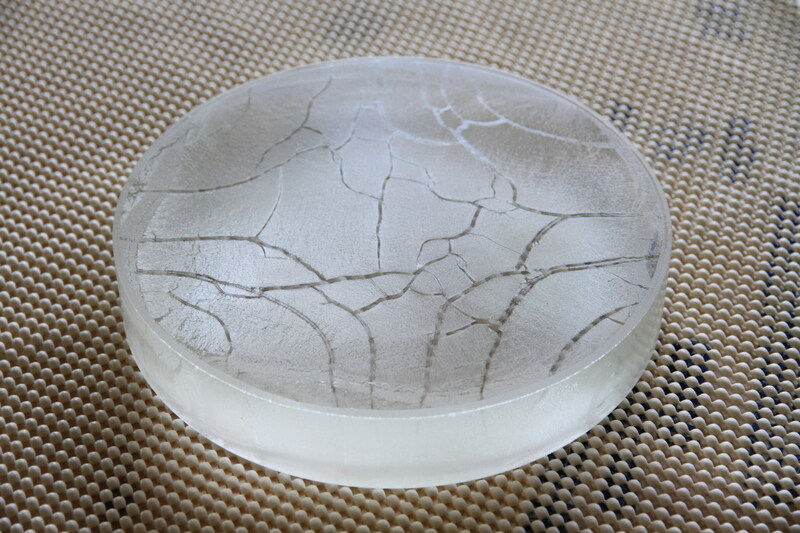 Starting from a rough glass blank, you can obtain an almost perfect parabola with surface errors in the range of 20 to 60 nm. 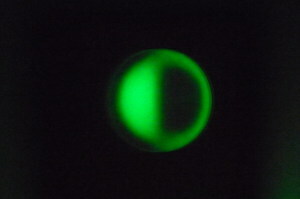 And this, only by pushing a piece of glass by hand. Let’s break down the process into 5 steps. 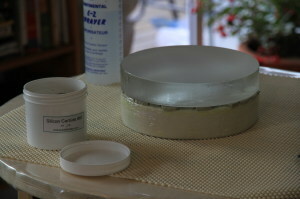 This step is about making one side of the glass concave. It will give your mirror its overall focal ratio. If you make the centre deep, you will end up with a fast telescope (e.g. F/D = 4) well suited for deep sky observations. On the opposite, a shallow mirror (e.g. F/D = 8) will be performing very well on planets and the moon. 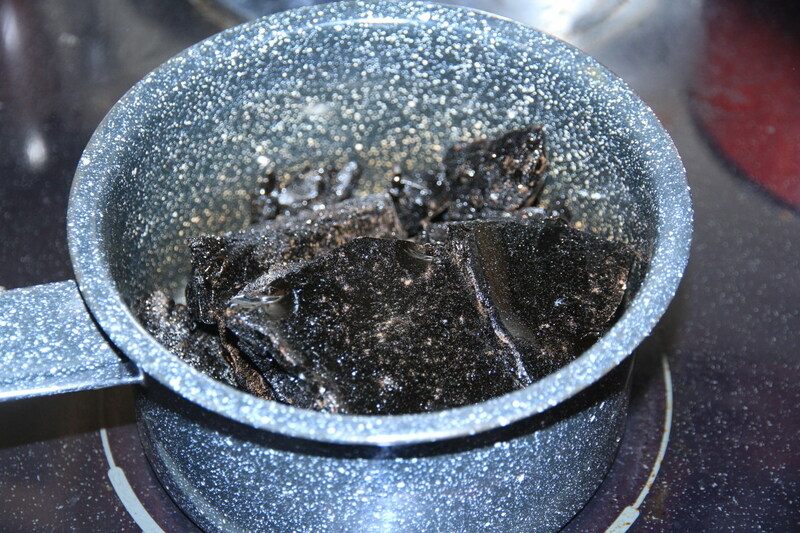 The theory behind grinding is that you can remove glass as long as you use a material with a higher hardness. Telescope makers use silicon carbide powders (a.k.a. carborundum) for this task. It is cheap and comes in various size (can range from #36 to #500). 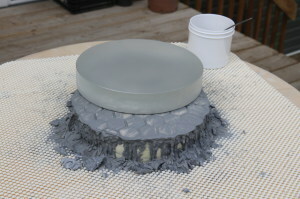 To be effective, the abrasive needs to be rubbed against the glass with a lot of pressure. That’s why we need a tool. It should be about the same size and weight as the glass. In the old days, ATMs were using another glass blank of lesser quality. 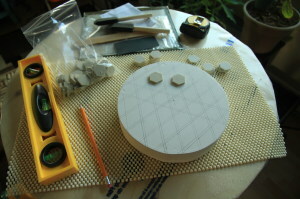 Nowadays, this tool is most of the time made of ceramic tiles glued to a plaster or plywood disk. 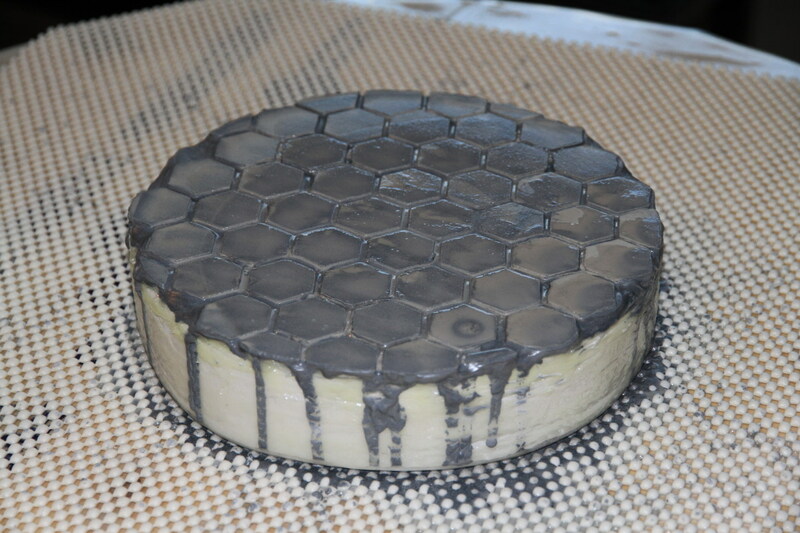 Whether you buy or cast your own blank, it often turns up to have rough sides with marks left from the kiln. The first thing you want to do is to flatten one side (it will become the back) by grinding it against a flat piece of glass (e.g. a old window). Once the back is flat, we can start to carve the front into its spherical shape. The theory here is that if you rub 2 circular blanks of approximately the same hardness with an abrasive in between, you will end up with a concave blank and a convex one. Our goal is to have the mirror concave and the tool convex. 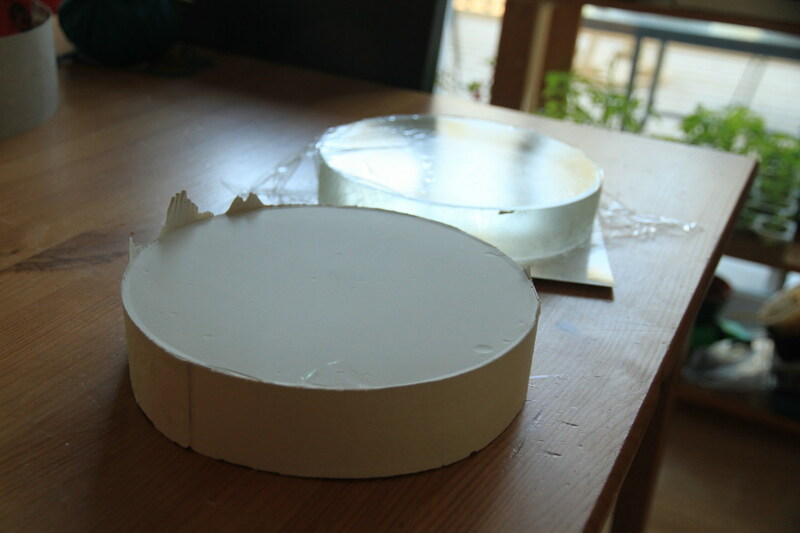 Gravity will help us here: more pressure will be applied on the centre of the overhanging blank and on the edges of the bottom one. The courses to apply are pretty basic. They consist of long chordal strokes with mirror on top. After a few hours using coarse abrasive, you will end up with a face approximately spherical. 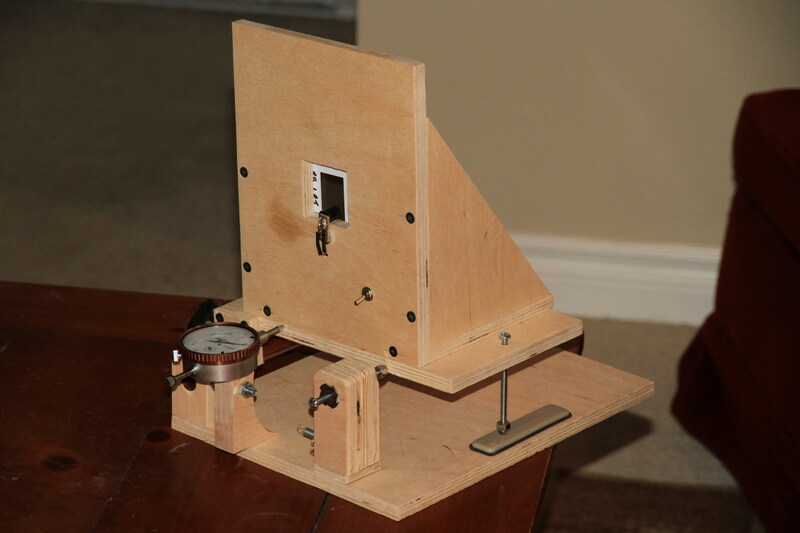 If you were shooting for a high focal ratio telescope, you won’t have to grind for too long. On the other hand, for a fast scope, it can take you a lot more time. 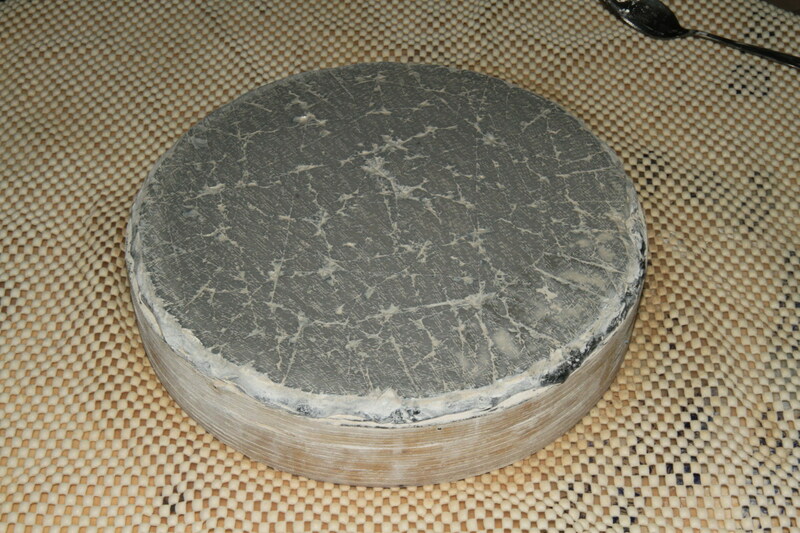 Once the desired sagitta has been reached, it is time to make the surface more spherical (rough grinding usually creates a slightly conical surface). 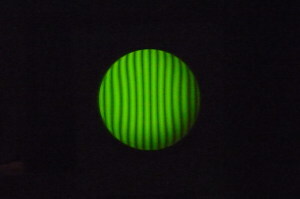 This is done by changing from chordal to normal stroke (1/3 centre over centre). 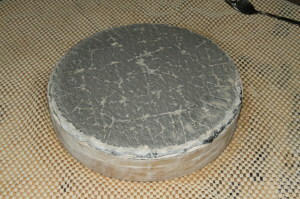 After a while, when the final shape has been reached, it is time for the second step: fine grinding. 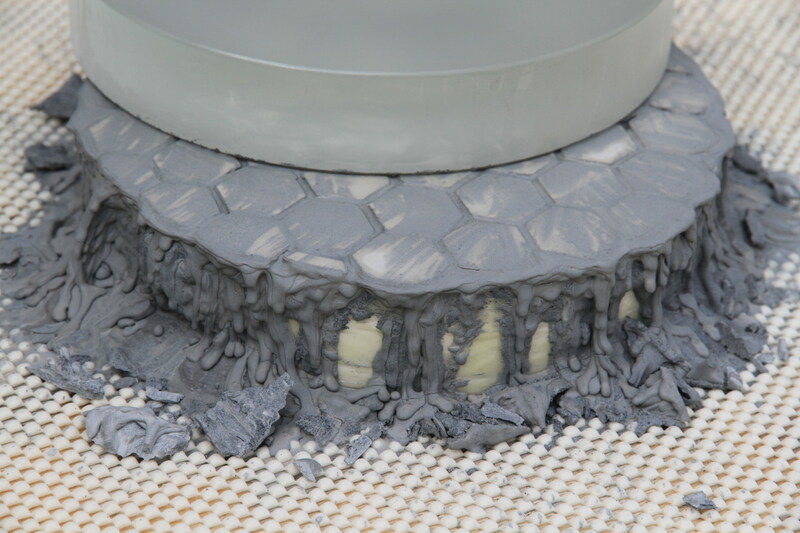 This step has only one purpose: removing the scratches and holes left by the rough grinding while keeping the shape of the surface. To achieve that, we will work from coarser to finer abrasive. 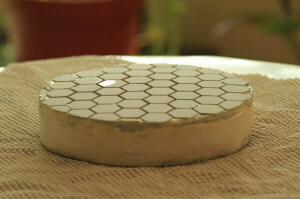 Moving from one grain size to the next should only be done once all the holes from the previous grain have disappeared. A common practice is to mark the bigger holes with a Sharpie and grind the surface until all of them are gone. Do the same thing for each grain size. 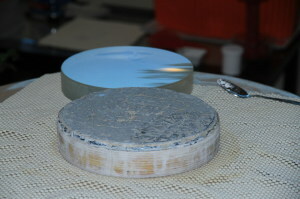 Once you reach the finer grains (at this point you might be using aluminium oxide instead of silicon carbide), the surface should start to shine a little when viewed from the side. When the abrasive action becomes too small to be observable with the naked eye or with the help of a magnifier, you should consider moving to the third step: polishing. 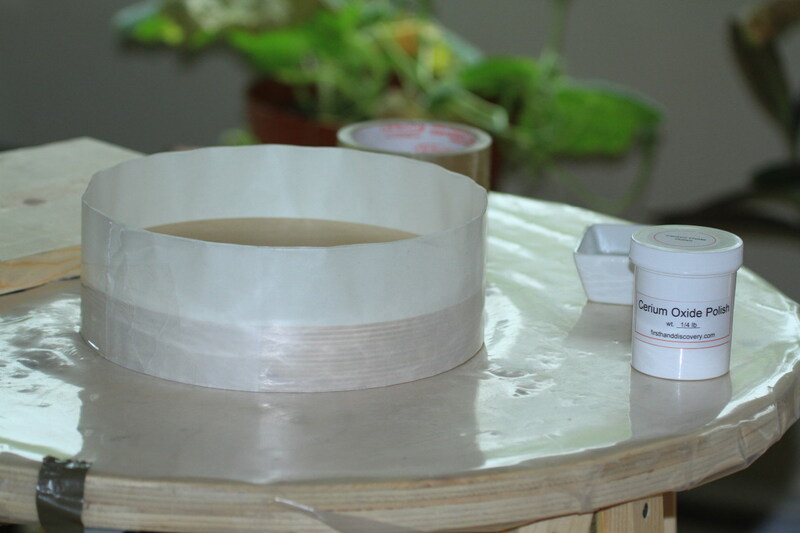 The goal here is to remove the rough surface left during fine grinding and obtain a smooth reflective surface. During this step we’ll switch from mechanical grinding (silicon carbide and aluminium oxide) to chemical grinding (cerium oxide). The strokes stay the same but the difference happens at a microscopic scale. 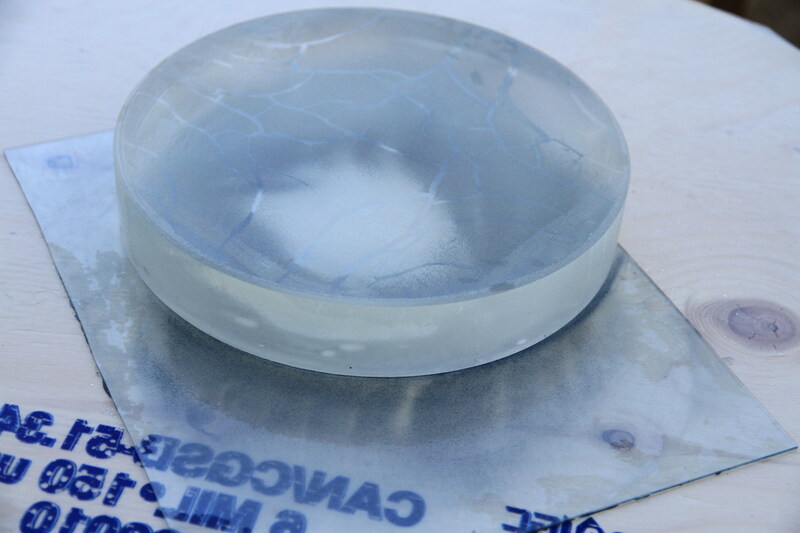 Instead of creating fractures in the glass, the cerium oxide will act like shears to remove peaks on the surface. Therefore, pressure no longer influences the speed of polishing. During polishing we are trading the ceramic tile tool for a softer material capable of holding the cerium onto its surface. The most commonly used material is pitch. 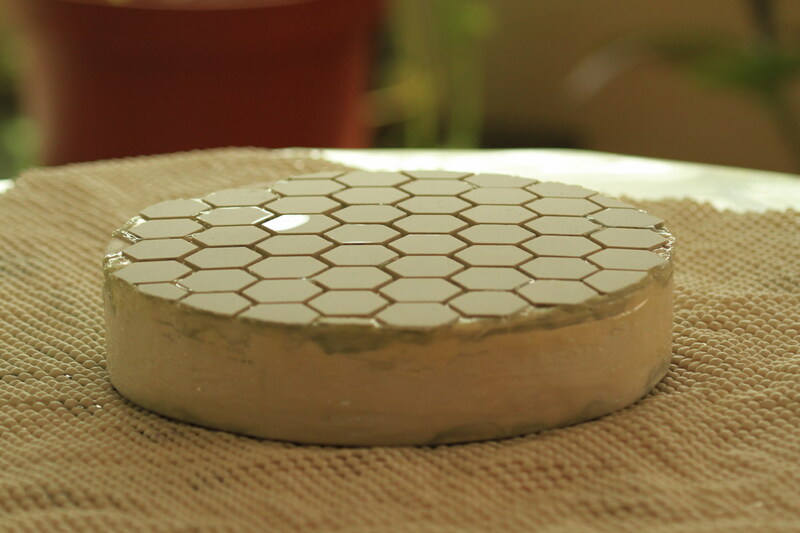 To create a pitch lap, we need to create a plaster or plywood disk the same side as our ceramic tile tool (very large mirrors can use smaller pitch laps), wrap the sides with tape and pour liquid lap on it. Once the lap starts to harden, it can be shaped into a convex form. By applying some cerium on the pitch, we can prevent it from sticking to the mirror when we finally press the glass against the pitch lap. Once the pitch is hard enough, we need to cut grooves on the surface to increase the flow of cerium. An exacto knife under flowing water will do the trick just fine. 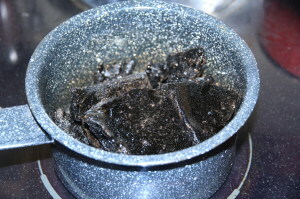 It is worth mentioning that pitch is very hard to remove from almost all surfaces. Now you can start polishing the mirror. It will start to get its reflective surface after a couple of hours but you will need a few hours more to make sure you remove all the rough surfaces from fine grinding. This task is probably the most time consuming. What we try to accomplish here is to change our perfectly spherical surface into a surface usable for astronomical purposes: The desired shape is a paraboloid. 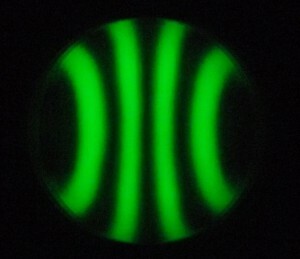 A little bit of mathematics is required here: when parallel rays of light get reflected onto a spherical surface, they do not focus into a single point (blurry image). A paraboloid is the shape we are looking for. Basically, a paraboloid has a deeper centre and flatter edges than a spheroid. The difference between the spheroid and the paraboloid is very small and can’t be measured with the naked eye. 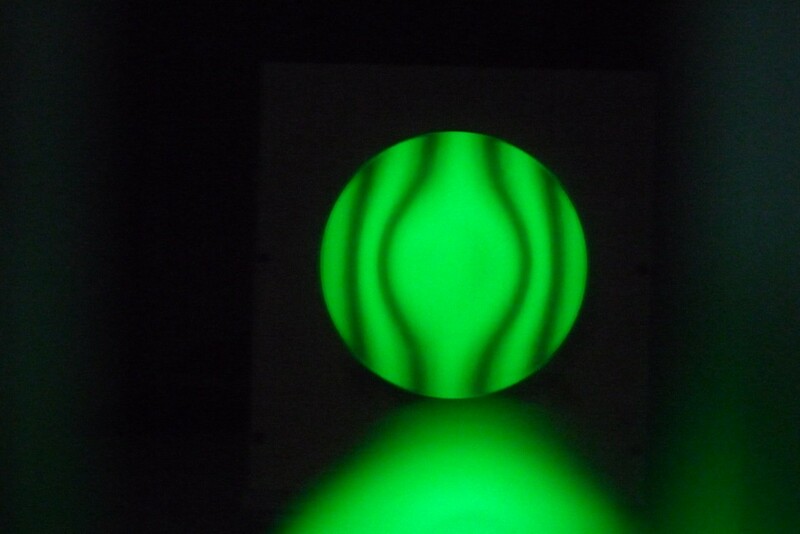 We will need to build special tools to control the shape of the mirror. To go from a spheroid to a paraboloid could take from a few hours to a few weeks depending on experience, focal ratio and luck. This is what a paraboloid looks like through a knife-edge test. 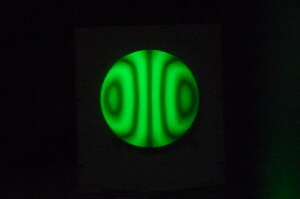 The surface is lit from the right. We can see here that the centre is deeper and the edges flatter than a sphere. The standard figuring stroke is the W shaped one. It deepens the centre and the edges. One of the common problem is overshooting the parabola. In that case, you end up with an hyperboloid and you will need to go back to the sphere before trying to parabolize again. For low focal ratios, things get more complicated and you might need to use different strokes and alter the lap to achieve the paraboloid. To control the shape of your mirror, you will have to use or build your own tools. 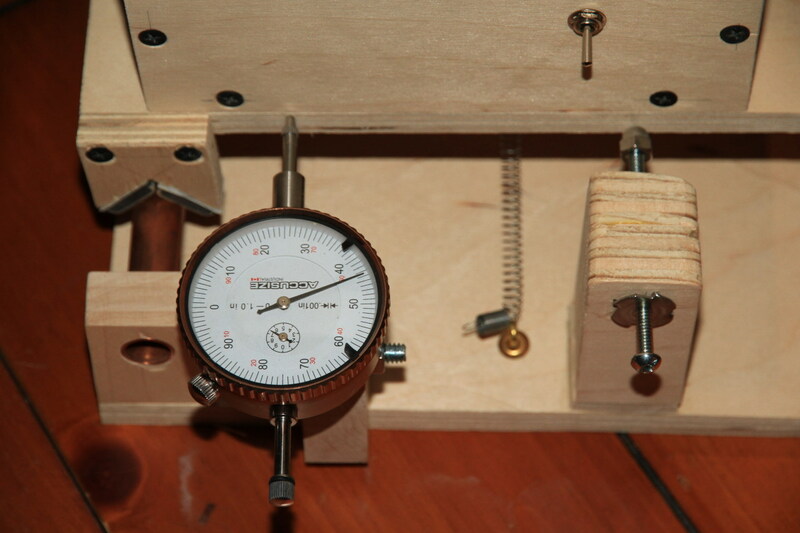 A tool commonly used is the Foucault tester also known as knife-edge test. 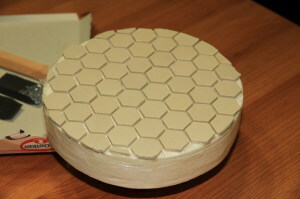 It is easy to build from materials available at the hardware store. A Ronchi screen is also a time saver tool. More complex tools such as interferometers give a more precise reading but are less affordable. 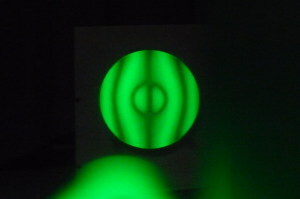 A mirror is considered finished when the differences between its surface and the ideal paraboloid are less than 1/8 of the wavelength of green light (510 nm). This means that the peak to valley distance should be less than 64 nm. While this is not the only test nor the most accurate, it is a good indicator of the overall quality of a mirror. 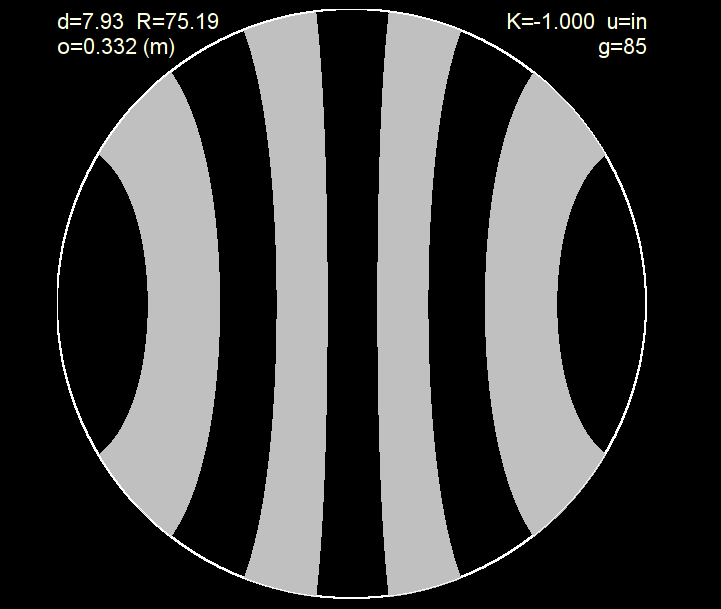 The Strehl ratio is another value that can help to determine the entire optical quality of an instrument (a Strehl ratio can be calculated for the elliptical and the diagonal obstruction too). 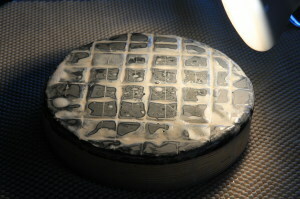 Here is a ronchigram of a finished mirror. The right image is simulated from the Ronchi for Windows software. The web based Ronchi simulator by Mel Bartels is also very useful. 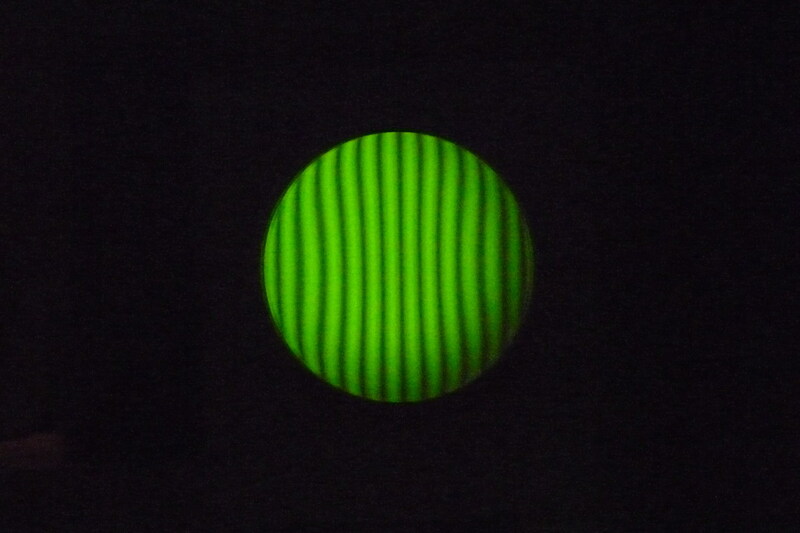 Here are common defects as seen through a Ronchi screen. 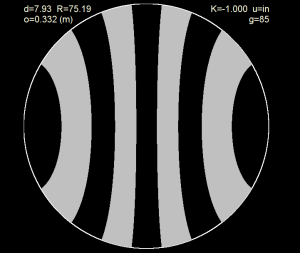 The shape of the mirror can easily be deduced from the curvature of the lines. To avoid doing the same mistake twice and learn from past errors, it is essential to keep a figuring log in a notebook. That way, you can associate a certain stroke with the desired correction. Even though the Ronchigram gives a good indication of the mirror shape, it is still necessary to take measurements to quantify the surface precision. This can either be done by hand, in a spreadsheet or using dedicated software. A program like FigureXP does the job very well and provides you with a thorough surface error analysis. 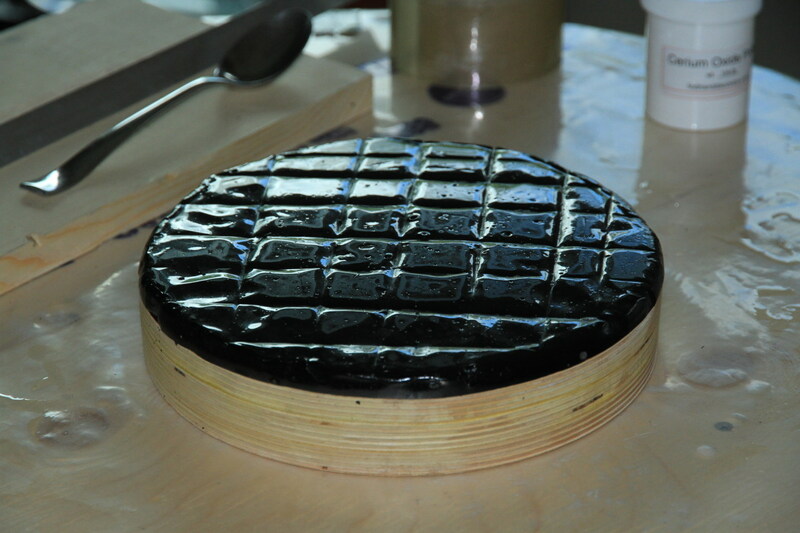 This is the profile of my finished mirror. This is the step where your mirror receives its reflective surface. 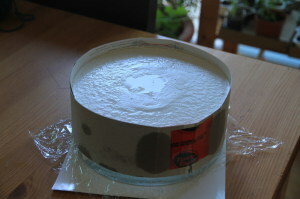 After aluminization, a mirror goes from 5% to more than 90 – 95% reflectivity depending on the type of treatment applied. 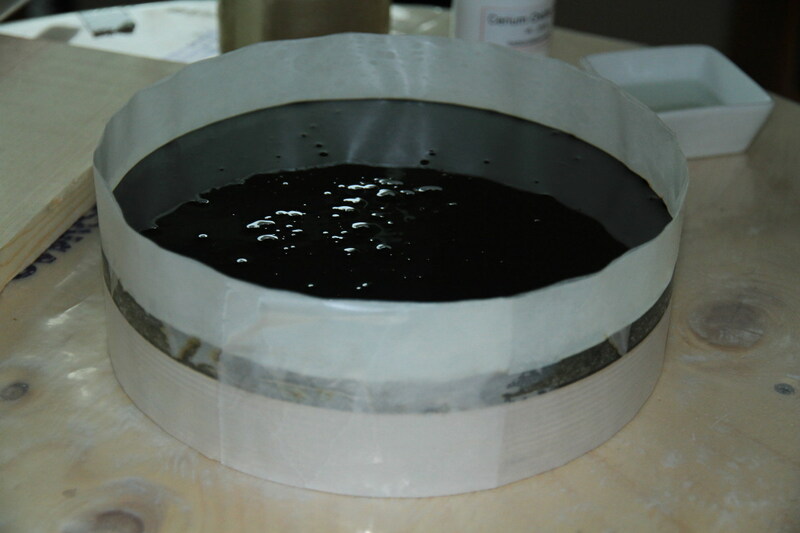 A protective SiO2 layer is often applied on the aluminium to preserve it from oxidization. Even though it is possible to build your own vacuum chamber and coat your own mirrors, it is usually not worth it unless you have tens of large mirrors to aluminize. Here is a picture of my finished mirror with a true centre marking. 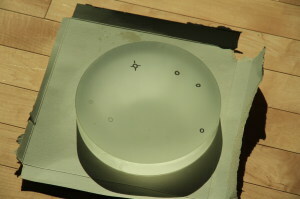 I need to have a small piece of glass curved to a spherical curvature with radius of 2200mm (focal length of 1100mm). Can you make custom mirrors? First all congratulation for your excellent work on your site,…. Very organized. I would like one information. 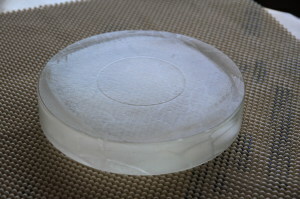 I live in Brazil and here it’s very difficult to find glass with thickness bigger than 19 mm ( ¾ inch). In your opinion what is the biggest diameter that a have to attempt to make a Newtonian telescope mirror? 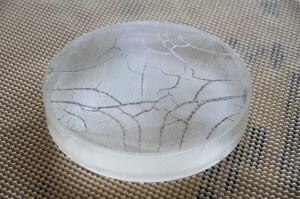 Is possible to stick (to glue) two glasses to increase the thickness? What is the ratio between the diameter & the thickness of the Mirror? It is possible to make a 12 inch (300 mm) mirror with ¾ inch, 19 mm ?? 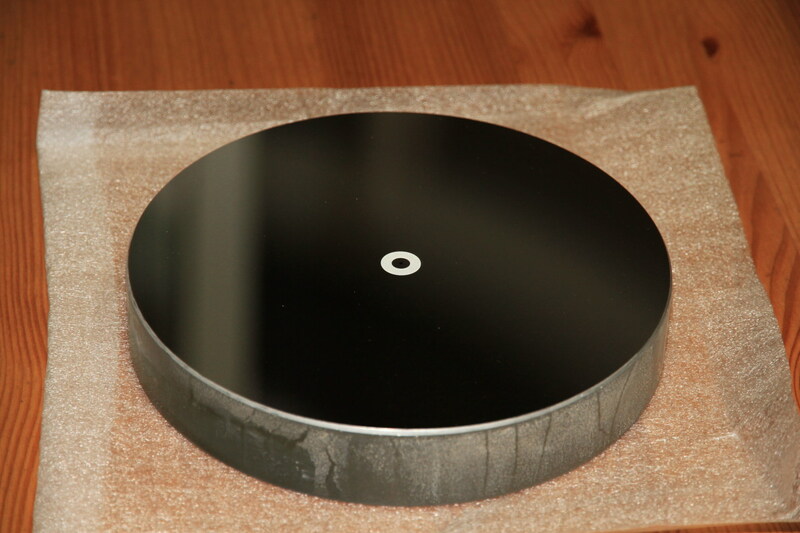 If not…It is possible to make a 10 inch (250 mm) mirror with ¾ inch, 19 mm ?? 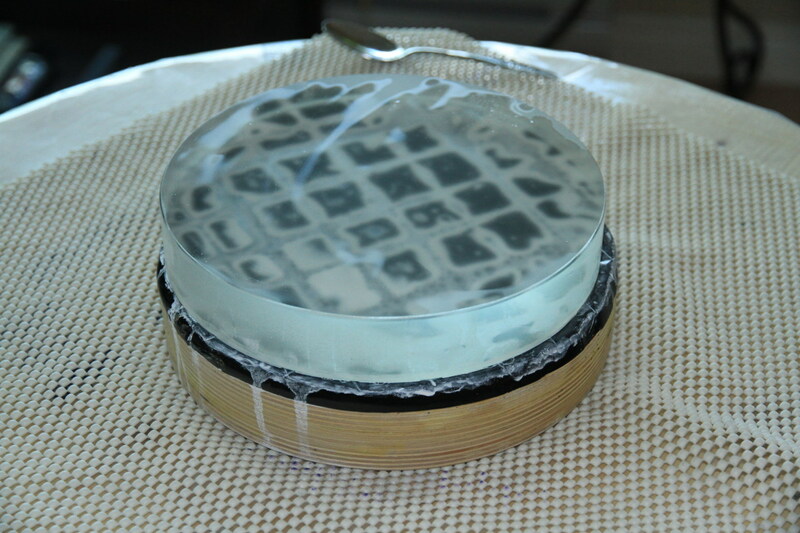 Witch kind of glue did you used in your sandwich mirror …ultraviolet glue for glass…its works well ? With book do you recommends to follow? I purchase 5 of them…. The usual full thickness ratio is 1:6 which means normal polishing techniques can be used on this kind of mirror. Mirrors larger than 1/6 their thickness are considered thin mirrors and will need more thoughts put into it (back of the mirror must be even and padded during polishing, used an appropriate mirror cell design, etc). That being said, it is possible to experiment with various configurations. 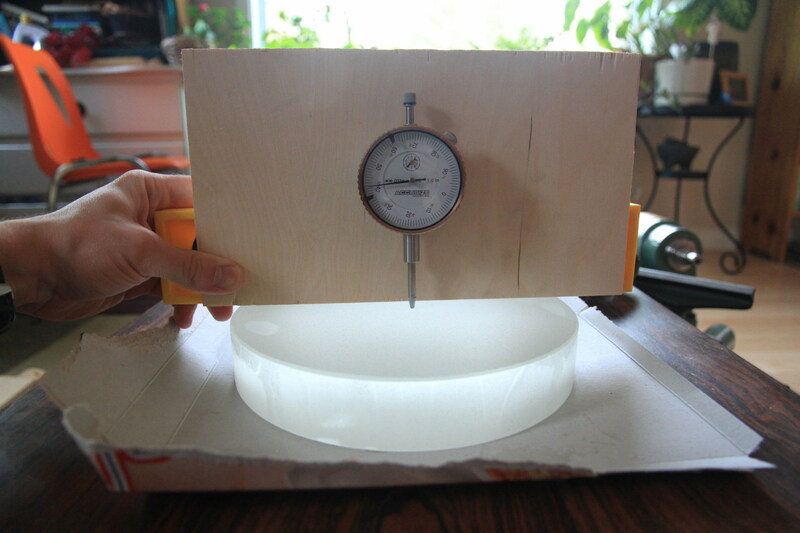 I have successfully made a 10″ mirror with 1″ thickness (1:10 ratio) and it performs very well. It is also supported by 9 floating points. 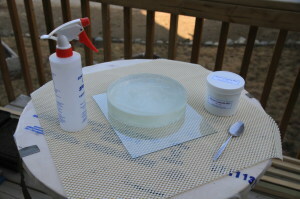 I believe you should be able to glue glass together as long as they have the same properties and no obvious strain although I never attempted it. Make sure to polish the back to make it flat. I have followed Jean Texereau’s book (old but a great reference guide) for my first telescope and I’ve heard good things about the Richard Berry one. Please let me know if you successfully glue glass together.